The world’s biggest mobile show event is around the corner and mobile phone fans could not be more ecstatic. The mobile world congress 2019 is going to be held in the month of February and is going to be the best MWC event ever. The invitations have been sent out and the speculations and expectations among the fans of the event, have already started. 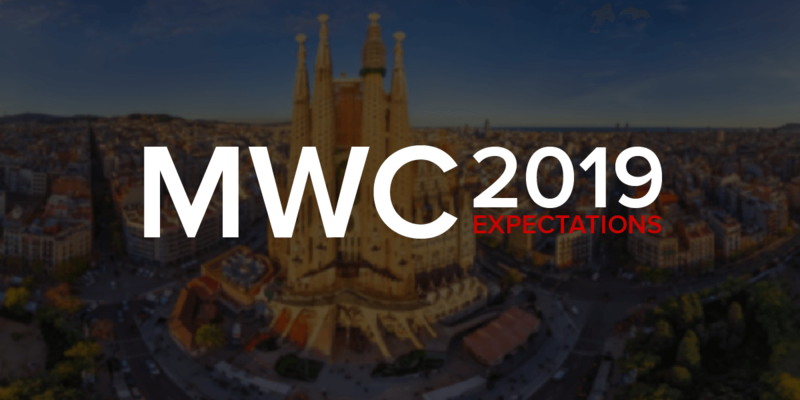 The MWC 2019 date for the press conference this year has been fixed at 23rd and 24th of February following which the main event will start which would last for 4 days. We are expecting to see a lot of the latest trends in the mobile world including 5G phones. All the big brands of the industry are scheduled to attend the event as per the MWC 2019 attendee list, with Apple being the only exception. Now that we have peeked into what the MWC 2019 event will look like, it is time to delve into the launch expectations that we have from the event. What will launch in the MWC 2019 Event? The S10 will not actually be launched in the MWC event but right before on 20th February 2019. The reason being – Samsung doesn’t want its line of new phones to be caught among the other latest launches. It is rumored that a whole new line of Galaxy S10 is set to be launched in this time period, including the S10 lite, S10 regular, S10 plus and S10 plus 5G. Samsung might also be launching its folding phone, Galaxy F/X along with a smartwatch called Galaxy Sport. Although, there is no confirmation from Samsung about the model yet, but the rumor mills are already moving. Honor is usually at the MWC with its parent company Huawei and this year the same is expected. There is no news about Honor launching any new phones after its January launch of Honor View 20 in Paris. However, Huawei will be launching Huawei P30 and P30 Pro. The MWC 2018 was a great event for Huawei with all the spotlights and attention, which is why we are hoping to see the P30 range this year. LG is expected to be launching the LG G8 and LG V50 (5G) after being silent for a while. Now the question is, will LG launch both the phones at the event or any one of them? It is being said that LG will launch both the phones together at the MWC 2019 and we are just hoping for the same. The G8 will supposedly have a 4K display with built-in display speakers. Also, LG did launch a teaser of the MWC event with a message “Goodbye touch” on a white paper which hints towards the G8. If this comes true then the G8 will change the whole Android world when it launches. Microsoft has confirmed that it will attend the MWC 2019 event but didn’t mention any product just yet. We are expecting to see HoloLens 2 this time. But with all the speculations about the 5G, Microsoft has much more to experiment with. Ever since Nokia received fame for launching a retro model, people are expecting Motorola to do something similar. The Moto RAZR, priced at $1,500, is expected to be brought to the market again. Motorola has already confirmed the launch of its Moto G7 Family but we still have to hear about the Moto RAZR. After hitting the jackpot with the re-launch of the retro model, Nokia is ready to fight its way back into the limelight. The company has promised re-releases of old models and many new Android phones for the event. One of such phones is the Nokia 9 Pureview that has Penta-lens (five lenses). The new model will likely run on Android 9 Pie and will have a fingerprint sensor. Oppo has confirmed to attend the mobile world congress event this year and will be showing its 10X zoom camera. 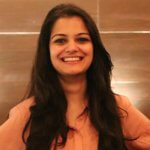 The company already launched in the UK in the month of January this year and have big plans for the market. Let’s hope Oppo gives us a solid product this time too. Sony has also done the MWC 2019 registration and is all set to launch its Xperia XZ4. Sony launched its Xperia XZ in the MWC 2017 and this year the new model is coming. The phone is said to have a 4,400mAh battery and a 52mp camera. Sony may also change its usually blocky design of phones and give us something fresh. Another model rumored to launch is Snapdragon 855 with a 6.2-inch screen. Xiaomi could be dropping its Mi Mix 3 5G in the MWC 2019 event. The brand has been trying too hard to create a global market image outside China, its homeland. We can’t say about the model but Xiaomi has confirmed a press event on the 24th February. These were all the things you can expect from the Mobile World Congress 2019. Stay tuned for more updates!